Image courtesy of Baron Fig. It's that time again! For what's become an at-least-monthly event: The release of a new limited edition from Baron Fig. The last version of Baron Fig's Archer pencil, the "Snakes & Ladders" edition, drew some criticism because Baron Fig changed the graphite formula to a softer, 2B-ish core. While I enjoy soft pencils, and really liked the look of the Snakes & Ladders, Baron Fig returned to their firmer, standard Archer core for the next limited edition pencil, the Prismatic. The three Archers, from left: Prismatic, Snakes & Ladders, and the standard pencil. Each pack of Prismatic Archer pencils includes four red, yellow, and blue pencils, each with a dipped purple end cap. I like the look of these pencils, and somewhat surprisingly, the red and the blue pencils are my favorite. When I first received the promotional photographs, I expected to love the yellows, but the finish on my yellow pencils is thin and shows cracking and flaking on one or two of them. I'm not going to knock Baron Fig too hard for this. When you're producing a large volume of woodcase pencils - a consumable good that's sold in packs of a dozen and meant to be used up - its not going to receive the same level of individual quality control that say, a $60 Squire pen might receive. I've had cracked finishes in $22 boxes of Blackwings. That said, this isn't a $4 per dozen box of pencils, so it's still a bit annoying. Some of the finish on my yellow Prismatics is a bit thin and bubbly, to the point where you can almost see the underlying wood. The standard Archer has been in regular use since it was first released back in October. I keep a couple sharpened at my desk and others tucked into various books that I'm reading. If you're a fan of graphite cores just slightly on the harder side of HB, then the Archer should be on your radar, especially if you like to write on toothier paper like Baron Fig which can wear down softer pencils fairly quickly. The standard Archer core is surprisingly dark for how good the point retention is. Baron Fig's pencils remind me of "European HB" pencils like the Staedtler Noris or Staedtler Tradition. That's probably not a coincidence - the Archers are manufactured in Portugal. Before I received my first pack of Archers, I wasn't a fan eraserless pencils. I thought that I needed the eraser in order for the pencil to balance better in my hand. As it turns out, this isn't the case, and I've come to enjoy writing with the lighter "end-dipped" pencil. In the U.S., end-dipped pencils are somewhat harder to find than they are in Europe or Japan, at least outside of the "art pencil" market. You can purchase the standard Archer, the Prismatics, and even Snakes and Ladders directly from Baron Fig's online store. Limited edition versions of all of Baron Fig's products, including the Archer, the Squire, the Confidant, and the Vanguard, are released on a quarterly basis. 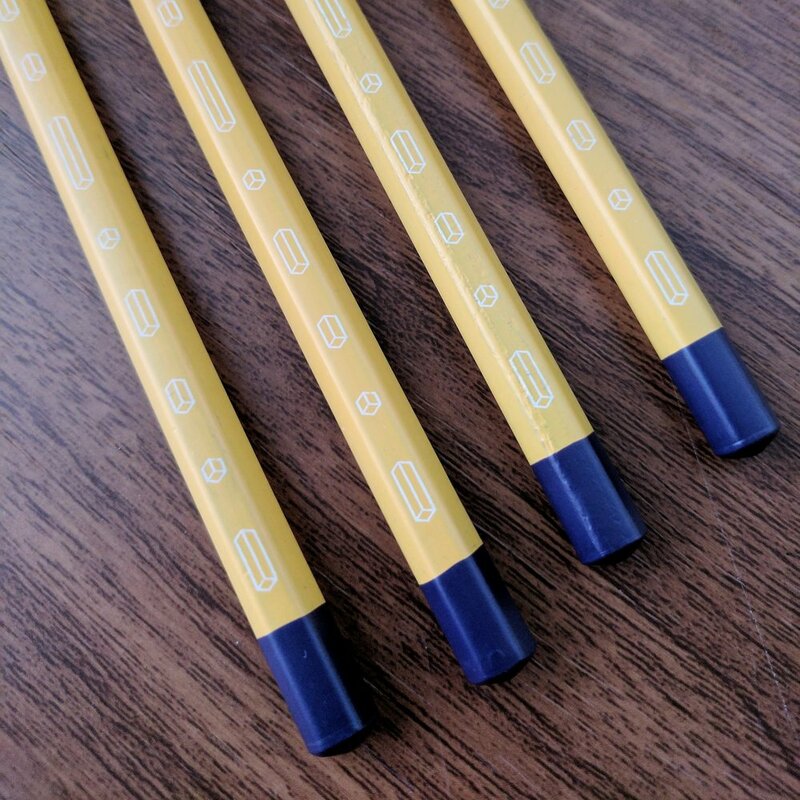 Disclaimer: Baron Fig sent me these pencils free of charge for review purposes. I was not otherwise compensated for this review.